An airbag is a type of car safety device, which is deployed very immediately in case of collision or sudden braking. The purpose of an airbag is to protect the occupants of the car from impact with the car’s interior in case of any unfortunate event. There are three parts of an airbag module: bag, sensor and inflation system. The bag is made up of thin nylon fabric, which is folded and inserted into the steering wheel, door, etc. The censor is the part that detects a collision or any such event and triggers the bag to inflate. The inflation system releases a blast of Nitrogen gas with which the airbag is inflated within a fraction of a second. Tata Tiago is an extremely efficient and powerful hatchback, and comes with a lot of features at this price. Among many other safety features, dual airbags are offered as standard across the variants, including the base variant as well. 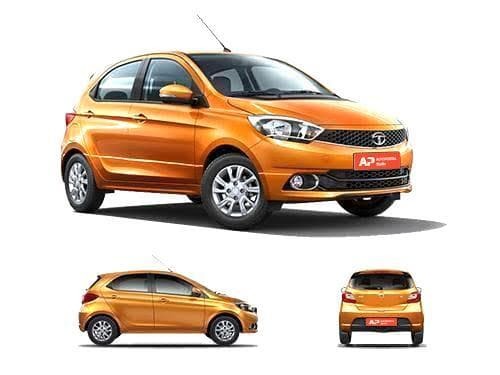 The variants of Tata Tiago that offer airbags as standard include JTP, Revotorq XE(O), Revotorq XM(O), Revotorq XT(O), Revotorq XZ, Revotorq XZ Plus, Revotorq XZ Plus Dual Tone, Revotorq XZ w/o Alloy, Revotron XE(O), Revotron XM(O), Revotron XT(O), Revotron XZ, Revotron XZ AMT, Revotron XZ Plus, Revotron XZ Plus Dual Tone, Revotron XZ w/o Alloy. The variants of Tata Tiago that do not offer airbags as standard include Revotorq XB, Revotorq XE, Revotorq XM, Revotorq XT, Revotron XB, Revotron XE, Revotron XM, Revotron XT, Revotron XTA, Wizz Edition Diesel, Wizz Edition Petrol.